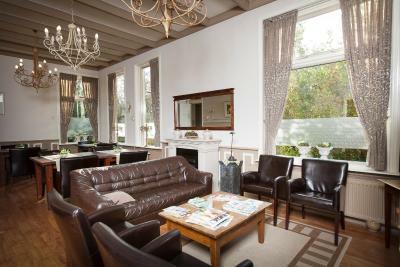 Lock in a great price for Het Heerenhuys – rated 9.4 by recent guests! Everything else. 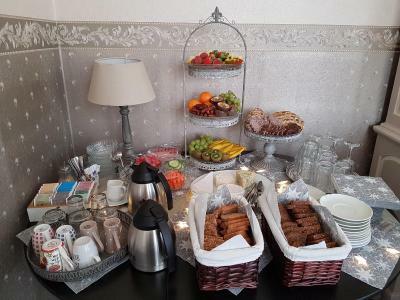 The breakfast was fantastic. The host was friendly and it was a relaxing atmosphere. 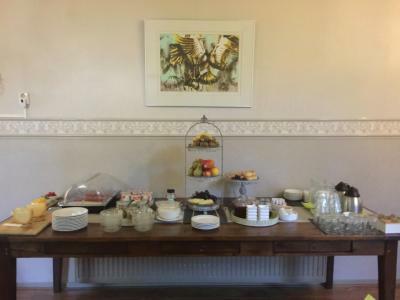 Excellent facilities, breakfast and host. Place was far beyond expectation. Amazing experience! Fantastic! 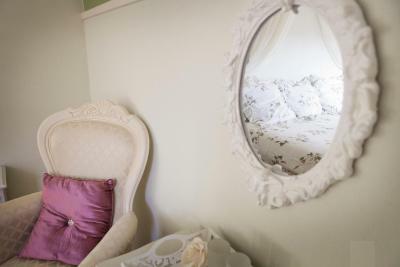 The Purple & Blue room was a very special, romantic place with a private bathroom - a real welness experience; whirlpool equiped for 2 people, with a flat screen TV. Very nice, warm welcome. 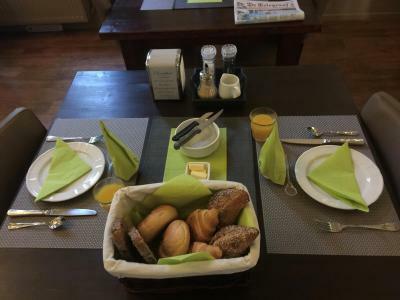 The breakfast was amazing - based on local and biological ingredients, diffirent kind of bread delivered directly from the oven of the local baker - warm and delicious. And then the awesome healthy sugarfree homemade cake. Clearly a lot of thought, imagination and care invested in anything to make you feeling a very special guest. I enjoyed talking to the hostess about the history of the village and the region, places to visit and enjoy and etc , very fine and attent lady. Thanks a lot! Very convenient location, very homey and cozy. The host is very friendly and helpful. 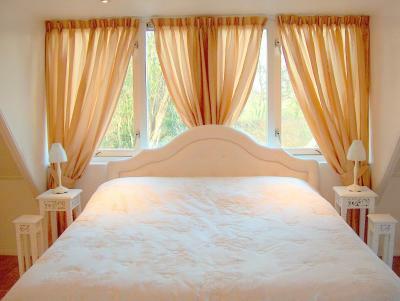 the room was very nice and cosy, the bed was perfect. The bathroom: a bath and a shower. Friendly people. 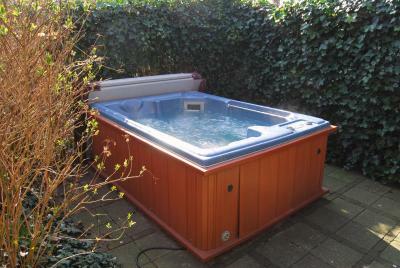 The outside jacuzzi was amazing, also because it is always ready! No need to wait for it to fill up first. 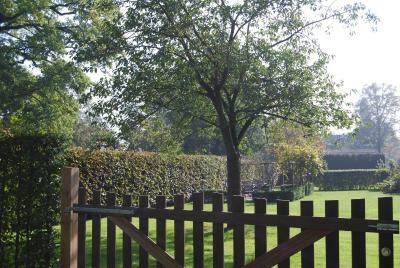 We really enjoyed bubbling away in the fresh air, and would come back if the opportunity arises. Breakfast was also nice with local and biological ingredients - and homemade banana bread. 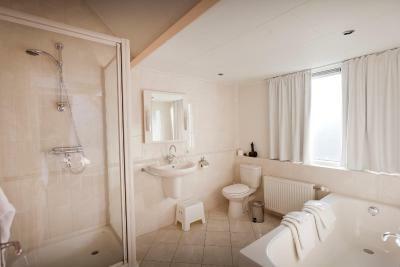 Clearly a lot of thought and care went into managing this property which we both loved! 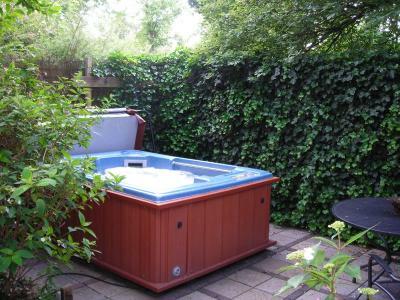 Small but very comfortable room with patio and a private jacuzzi! 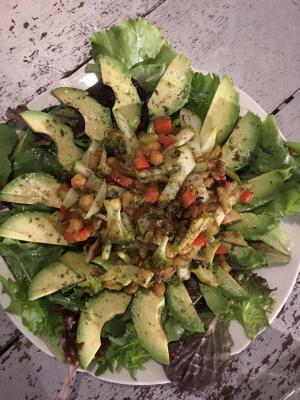 Very friendly owners and a warm and welcoming stay! Excellent breakfast. Value for money! And very clean! The friendliness of the owner. 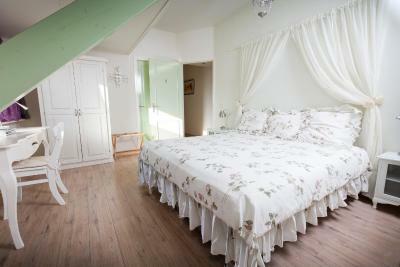 A real country village B&B in a quiet location. Highly recommended. The beautiful garden you can relax in the back yard on a nice day. Close to Meppel and Giethorn. 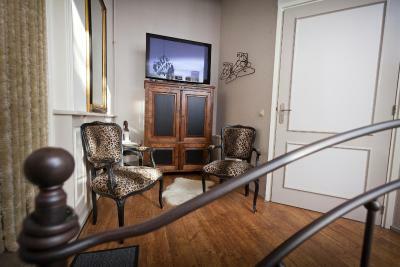 Comfortable electric bed, large TV screen with Netflix, a juccuzzi with private courtyard, which can be used 24/7. We did have the Royal Suite. 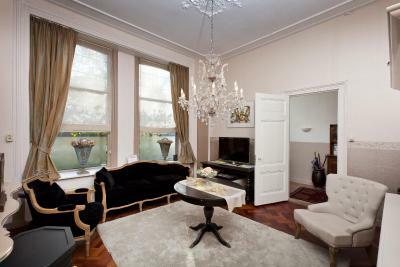 Well stocked mini bar at reasonable prices, Nespresso coffee machine, modern bathroom. This was an amazing experience. I felt like I was at home. 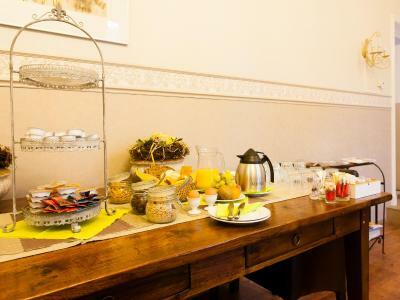 Very nice staff, very comfortable rooms, amazing breakfast. Very nice warm welcome, gave me at home feeling. Huge green nice garden!! 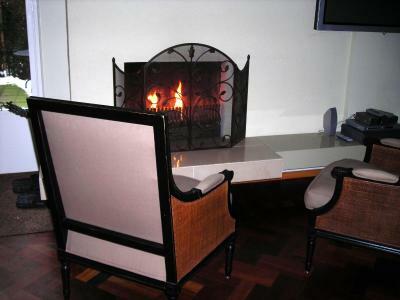 Het Heerenhuys This rating is a reflection of how the property compares to the industry standard when it comes to price, facilities and services available. It's based on a self-evaluation by the property. Use this rating to help choose your stay! 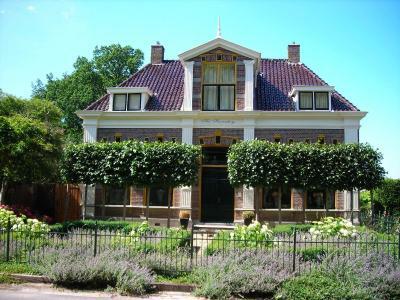 This mansion is located in the south-west of Drenthe, only 10 minutes away from Meppel by car. It is set among numerous characteristic farmhouses. 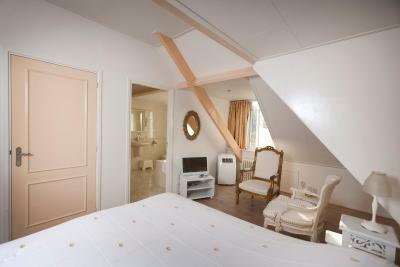 The five guest rooms have different ambiance and color but each are stylish and cozy decorated. 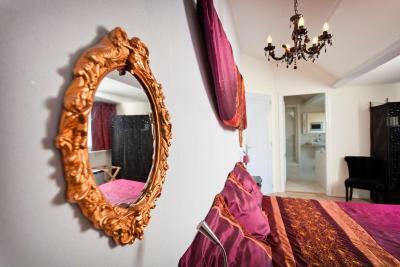 All rooms have luxury and spacious bathroom. 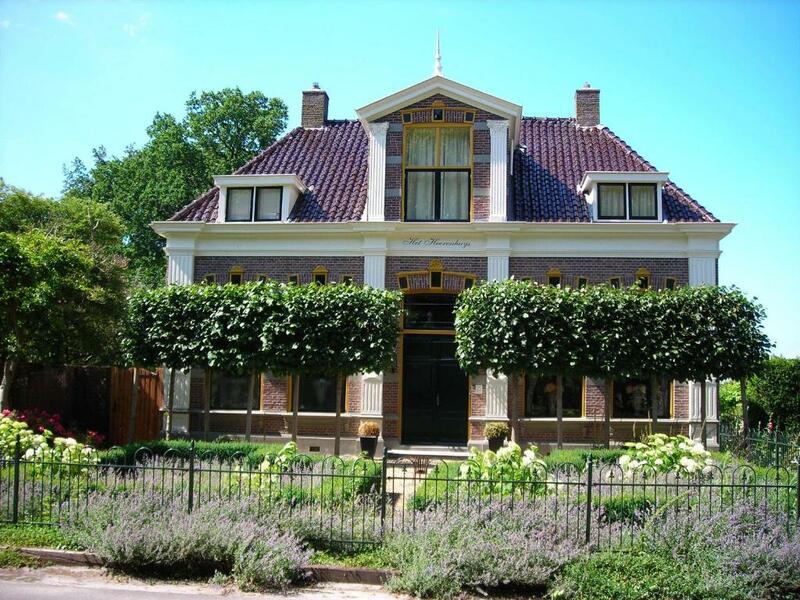 When would you like to stay at Het Heerenhuys? 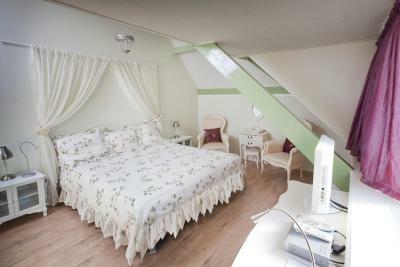 Double Room - The Rose is a warm and romantic room. 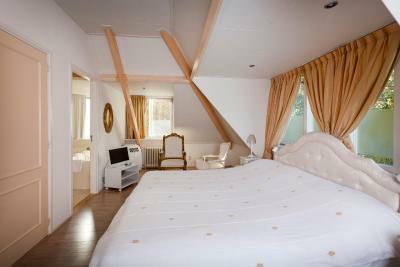 You will sleep in a royal double bed and you can use the royal private bathroom. 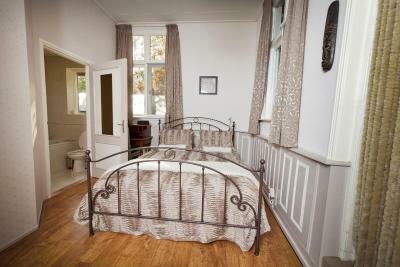 It is also possible to have twin-beds instead of a double bed. 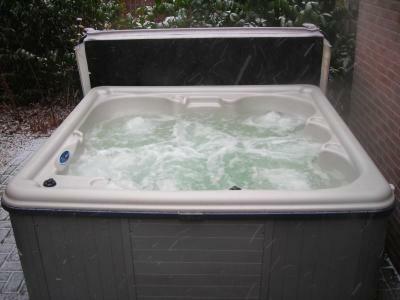 The bathroom has a spacious whirlpool for 2 people, with a flat screen TV. 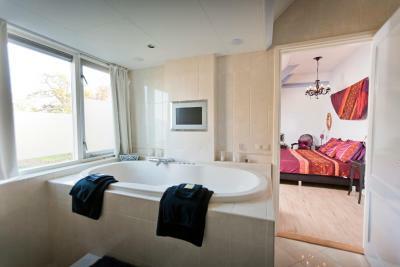 This means that the two of you can watch your favorite movie from the whirlpool and have a drink from the minibar. 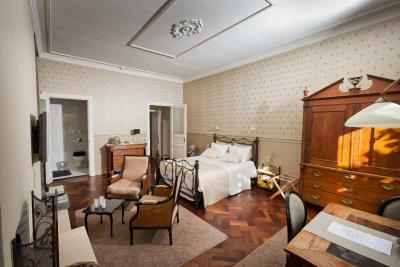 A royal room with a king-size bed. This room has a spa bath and a private terrace. 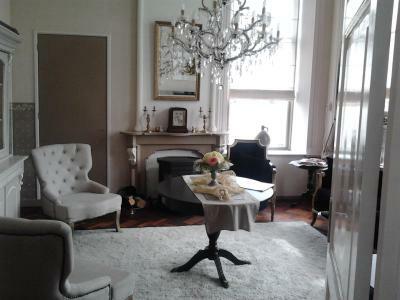 This Royal Suite is located in the monumental vestibule of Het Heerenhuys. It features a kitchenette, a fireplace and a private terrace with a hot tub. 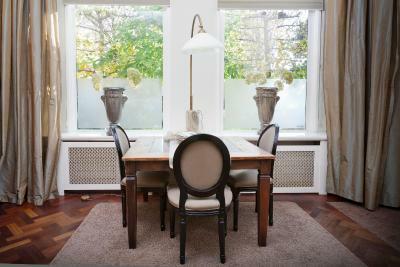 House Rules Het Heerenhuys takes special requests – add in the next step! 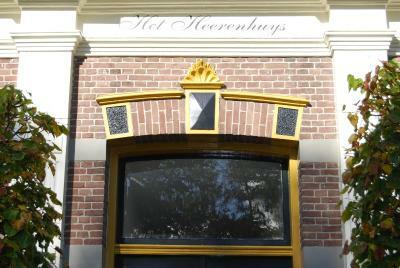 ATM card Het Heerenhuys accepts these cards and reserves the right to temporarily hold an amount prior to arrival. Het Heerenhuys accepts these cards and reserves the right to temporarily hold an amount prior to arrival. You can hear the sounds of the adjacent rooms quite well. Breakfast is absolutely ok, but nothing really special about it. 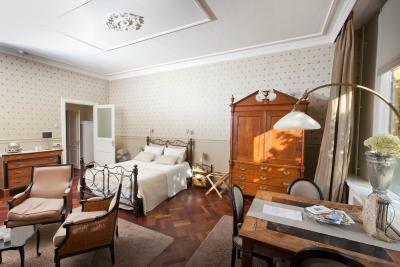 But it's understandable that the selection is more limited because the hotel has just 5 rooms. Was a bit disappointed that our room did not have a jacuzzi. Was not very clear while booking the room from booking.com.